This was a scattered and difficult-to-follow episode. The multiple non-converging plot lines make it hard to pinpoint what the episode focused on, so I suppose it was meant to focus on a number of things, including: an inter-dimensional fungal infection in Tilly’s brain; Spock and Michael’s childhood together; Amanda, Sarek, and Michael’s emotional abuse of Spock; Spock’s relationship with the “Red Angel;” Voq/Tyler’s personality crisis; Spock being wanted for murder; Tyler’s relationship with L’Rell; Voq and L’Rell’s son; the reunification of the Klingon houses; and the series introduction of Section 31. All this while introducing viewers to Captain Pike and re-introducing an empress from another dimension.Needless to say, the production team had their work cut out for them on this one. As you might expect from an episode featuring ten loosely related plot lines, STAR TREK DISCOVERY’s “Point of Light” was a bit unwieldy. I know: DISCO is getting geared up for its newest adventure, and intrigue needs time to percolate, but featuring ten plots while introducing and re-introducing viewers to a cast of characters is just plain reckless. Longtime Trek fans caught a second glimpse of DISCOVERY’s version of Spock and Michael’s mother Amanda. Making Michael, Amanda, and Spock’s life with Sarek sound like a nightmare, Amanda describes how Sarek wouldn’t allow her to share her emotions with Spock. Instead, Michael was the single recipient of Amanda’s maternal devotion. Michael describes young Spock as her “little shadow,” and says that if she hadn’t driven him away then the “Logic Extremists” — who comes up with these names? — would have gone after Spock to get to her. It’s probably so obvious that I don’t even need to say it but for a human raised among Vulcans, that’s not logical. An ongoing problem with prequels, especially Trek prequels, is that they take well-established characters and mutilate their established personalities and motivations. That Sarek is an emotionally inexpressive Vulcan is well established in previous Trek iterations. That Sarek sought to help his son Spock fit in on Vulcan is similarly well established, but “Point of Light” marks the first time writers have shown Sarek as flat-out neglectful. Previous iterations of the Trek franchise have always shown Amanda as Spock’s emotion teacher where Sarek was Spock’s logic teacher. Though Sarek has been described as disapproving of Amanda’s emotional guidance of Spock, Sarek has never been described as having tried to end or even seriously discourage Spock’s emotional tutelage. Otherwise, Sarek would come off as an abusive jerk. I know that DISCOVERY is a show about alien cultures, and child-rearing customs could be very different on Vulcan than they are on Earth. But this is a TV show for humans, after all, and Sarek is generally portrayed as one of the best good guys around. It’s an odd choice, then, to turn this impressive and previously morally unimpeachable character into a bad dad. Keep it simple, I say. 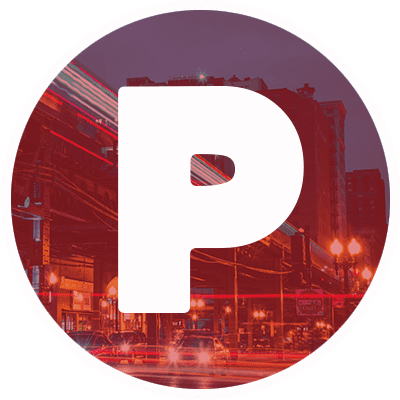 Another lackluster performance in “Point of Light” was Tilly’s method of dealing with the hallucination she was experiencing of her dead childhood friend. Rather than being upfront about it, Tilly hides the problem until it becomes unbearable. She then “quits” on the bridge, hardly becoming of an officer engaged in Starfleet’s command training program. Then, when her hallucination demands to speak to Stamets, Tilly ignores the alien life form and demands that Stamets forcibly remove it. I guess this is why Tilly is still an ensign despite her amazing performance in season one; she’s terrible at first contacts. The portion of this episode that concentrated on the Klingons, though it only got a few minutes of airtime, could have populated an entire season with plot points. Instead, L’Rell, operating under Former Empress Georgiou’s instruction, quickly quashes the opposing Klingon family’s failed insurrection. I’m glad that writers addressed the inherent ickiness of L’Rell and Tyler’s relationship, and now that Tyler’s off of Qo’noS I wonder if he’ll make a beeline for the Discovery. Right now, Tyler is among “friends,” aboard the first Section 31 ship to ever appear onscreen. Former Empress Georgiou is the captain of the Section 31 starship, and she just happens to be from the mirror universe. Is everyone keeping up? Finding out that your Vulcan–Human hybrid son has escaped from a psychiatric facility is one thing, but learning that he killed two people in the process puts the whole escape thing into perspective. Obviously, Spock’s murder charges are some kind of misdirect, probably with Section 31 at its roots, but the only way to find out is to find Spock. Although this was a confusing patchwork of an episode, I think it will end up serving future plot points well. I was happy to see the Klingons. My happiness came as a surprise, having felt that their re-introduction as weird-looking cockroach monsters last season fell a bit flat. 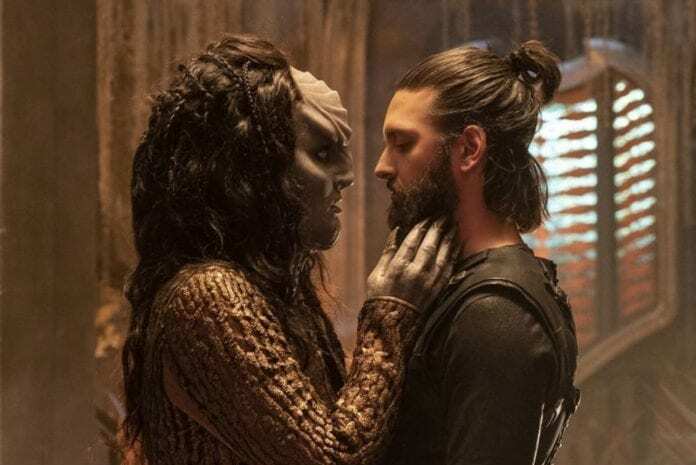 No matter what they look like, though, DISCOVERY’s writers at least seem to have the operatic nature of Klingon culture nailed down, plus their hairdos are much better than they were last season. I’m looking forward to watching “An Obol for Charon.” The episode’s title refers to the practice of burying corpses with coins, obols, so that the deceased can pay Charon, the boatman on the River Styx. Because Greek mythology only seldom figures into the Trek franchise and because Former Empress Georgiou’s old ship was the ISS Charon, I imagine the upcoming episode will have something to do with that ship. Either that, or Georgiou has named the Section 31 ship she now captains the Charon. Either way, I hope Georgiou accepts gold-pressed latinum in exchange for passage aboard her ship. I’m all out of obols.